Don’t you love the crisp fall air?! It’s such a great time to get out with your kids and enjoy the weather, cinnamon and pumpkin spice smells, warm sun, and cool evenings. We have all of the great fall activities for kids and families that you’ll want to check out to plan some fun days! Our guide to pumpkin patches has all the locations, hours, prices, and features you will find at each- same with the apple picking guide and many others below. Click on any of the activity headings to get location options and also don’t forget to check out the Kidlist calendar for more kid-friendly fun! 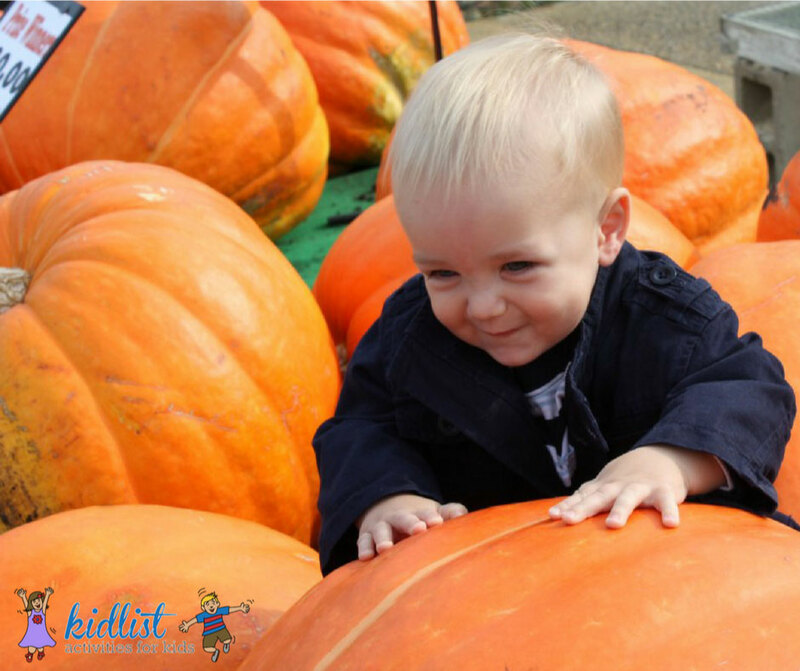 This one contains all of the fall fun in the western suburbs to enjoy with your family. Keep reading to find out about fall festivals, Oktoberfests, and activities by date and throughout the season! Where to pick apples, complete with a map to locate an orchard near you, start dates, phone numbers, hours, admission/parking fees, and descriptions. We’ve searched far and wide for a great homemade caramel apple recipe and found it! Get the recipe and tips to be successful. All of the pumpkin patches within an hour of the western suburbs of Chicago below with descriptions, admission prices, and hours. Decorate pumpkins, watch Halloween-themed movies, take a hayride, listen to a storyteller, enjoy Halloween treats and games, and more. Mark these down on your calendar and celebrate the season all throughout the month! Walk around the block or through the forest preserve and use the free printable found in this one to search and hunt for common found tree leaves in our area. Enjoy the beauty of autumn at one of these kid-friendly places. Looking for Halloween events and activities, like where to see the best decorated Halloween houses, family-friendly local Halloween events, haunted houses and forest walks, where to find costumes locally and more? Head over to our Family-Friendly Halloween Guide!